President Trump has floated the possibility of declaring a national emergency to get a barrier built on the U.S.-Mexico border. Talks between him and the Democrats don't seem to be going anywhere. He wants $5.6 billion for a wall, but Chuck Schumer and Nancy Pelosi have stopped at $1.3 billion, not one dollar of which is going toward that physical structure Trump wants. Trump said the impasse may leave him no choice. 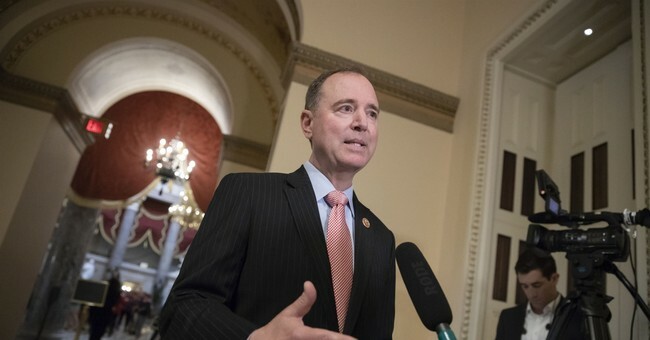 Democrats like Rep. Adam Schiff (D-CA) say Trump does not have the authority. If Harry Truman couldn't do it, neither can he. Truman invoked executive order and declared a national emergency during the Korean War to take control of the steel industry in 1952, but the U.S. Supreme Court struck it down. Legal experts suggest Trump may get what he wants if he uses "un-obligated" money in the Defense Department's budget. "The Department of Defense has funds in its account that are not specifically designated for anything. Congress gives them money and says we don't know what’s going to happen over the next year — here’s 100 billion," Harvard Law School Professor Mark Tushnet told NBC News, guessing at an approximate funding amount. We're in week three of the partial government shutdown. This weekend's border security talks appeared to have resulted in little progress. Except, Trump has backed off plans for a concrete wall (since Democrats don't like it) and said they could erect steel barriers instead. The president warned it's "more expensive" than concrete, but "it will look beautiful." Trump is expected to travel down to the southern border to take a look at the illegal immigration crisis himself.